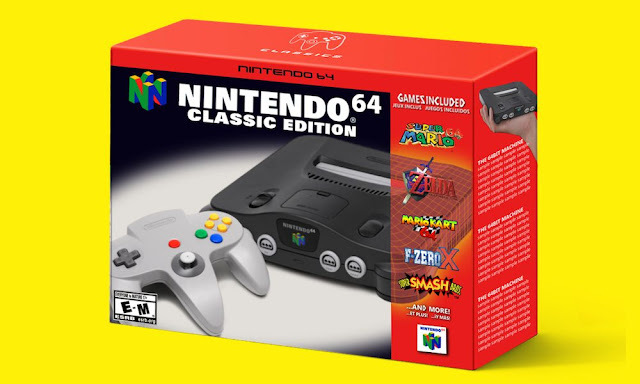 Nintendo has applied a trademark application for the N64 this week, fueling speculation that the company could release a Nintendo 64 Classic console in the coming months. The trademark, which was filed a few days ago and first spotted and translated by Japanese Nintendo, covers the Nintendo 64 console itself, as well as its game software, controller, and joystick. While applications of this kind are fairly routine and don’t necessarily hint at upcoming products, the timing of this trademark is pretty eyebrow-raising. E3, the gaming industry’s largest trade show, is only a few weeks away. If there’s a perfect time for Nintendo to announce an N64 classic, it would be thatweek. Nintendo has, thus far, released two mini versions of iconic gaming systems — the NES Classic in 2016, and the SNES Classic a year later. Both throwback consoles were released to massive fanfare and became overnight hits with gaming fans. As further evidence of an “N64 Classic,” the Japanese company filed for a graphical trademark in Europe last summer. The trademark covered an icon, the N64’s signature controller, in the same exact art style as the NES Classic logo. Of course, take these rumors with a grain of salt. There’s still no guarantee that a Nintendo 64 Classic is on its way. Though, for our nostalgia’s sake, we hope there is. Unfortunately, as CNET points out, many of the N64’s classic titles were produced by Rare. That game studio was eventually acquired by Microsoft — one of Nintendo’s biggest competitors in the console sphere. On a related note, Nintendo fans will get another chance to relive a piece of gaming history this summer. While the NES Classic became abruptly unavailable after its release, the company announced that both the NES Classic and the SNES Classic will once again hit store shelves on June 29, 2018.